Mark Platt Productions and Lucimar Productions are now in active development on the Walt Disney Studios Motion Pictures musical feature film “Mary Poppins Returns”. Disney casting directors are now auditioning actors in Los Angeles for new starring and supporting roles. To be considered, all talent must have legal eligibility to work in the entertainment industry in London and in the United Kingdom. Details below. Golden Globe Award nominee Emily Blunt will star as the magical English nanny, and Tony Award nominee Lin-Manuel Miranda will play a new character, a street lamplighter named Jack. Set in Depression era London, it follows a now-grown Jane and Michael Banks, who, along with Michael’s three children, are visited by the enigmatic Mary Poppins following a personal loss. Through her unique magical skills, and with the aid of her friend Jack, she helps the family rediscover the joy and wonder missing in their lives. Academy Award nominee Rob Marshall will direct “Mary Poppins Returns” from an adapted screenplay written by Academy Award nominee David Magee based on The Mary Poppins Stories by P.L. Travers. Academy Award nominee Marc Shaiman will compose the score, and will also write original songs with Scott Wittman. Marc Platt and John DeLuca will produce. “Mary Poppins Returns” is currently scheduled to hit theaters on Christmas Day 2018. Starring and supporting roles are mainly being cast through talent agents. 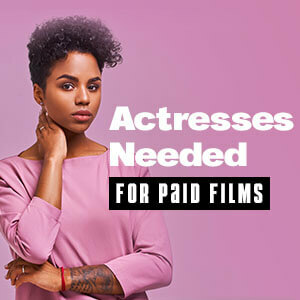 However, if you are not signed with an agent and wish to self-submit to the casting director above, I highly recommend that your 8×10 color headshot and resume along with the cover letter be sent in a 9 x 12 Clear Full Face Window Envelope with the photo visible in the window.